What Will Ayotte's Reversal on Trump Mean for the U.S. Senate Race? After months of walking a tightrope when it comes to her position on Donald Trump, New Hampshire Republican Senator Kelly Ayotte now says she can’t support her party’s presidential nominee. This comes after the release of an 11-year-old video in which Trump bragged about using his position of power to sexually assault women. Chris Galdieri, an assistant professor of political science at Saint Anselm College, joined NHPR's Morning Edition to talk about the impact on the race for U.S. Senate in New Hampshire. Ayotte had said she was voting for Trump, but wouldn’t endorse him; that of course all changed Friday. She was one of many Congressional Republicans who withdrew their support for Trump this weekend. Was this a situation where Ayotte simply had no choice? I think so. I think the comments on the Access Hollywood tape that Trump made were for a lot of Republicans simply a bridge too far. They decided it was something that they couldn’t live with, something they couldn’t defend and something they thought was going to hurt them at the ballot box. Ayotte said Sunday she would support Trump stepping aside from the race. Is there really any way for anyone else to take his place, or is too late for that? It’s effectively too late. You hear talk about these Hail Mary scenarios where Trump could step aside and the RNC would name somebody or Trump could step aside and everyone would understand that Republican electors would cast a vote for Pence. But in reality, in all practicality, that’s just not going to happen. Early voting has already started in many states, right? Exactly. A few hundred thousand people have already voted. Overseas absentee ballots for people in the military have already been sent out. You can’t replace Trump on the ballot effectively. The only thing that could possibly work would be an understanding that Republican electors would vote for Mike Pence or Mitt Romney or somebody else other than Donald Trump, but Donald Trump’s name is going to be on the ballot. 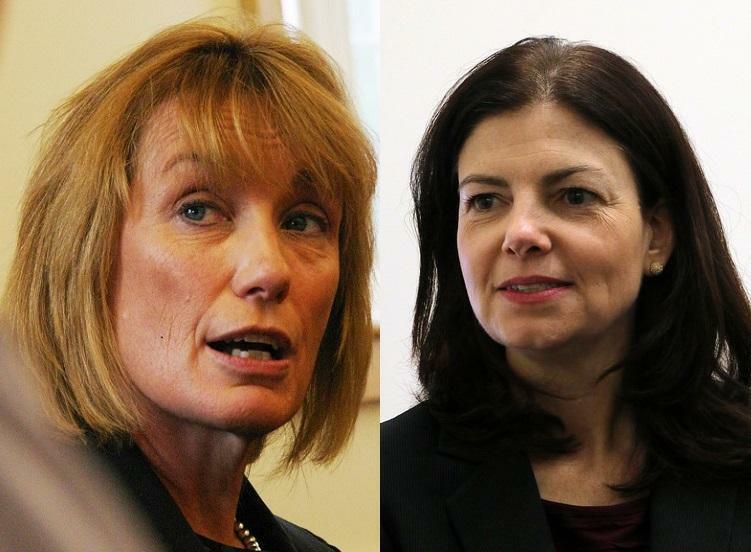 Ayotte is of course in the middle of a race with New Hampshire Governor Maggie Hassan. What’s been the response from Democrats to Ayotte’s decision? From Democrats, you’re hearing a lot of, ‘Well, why was this a bridge too far? Why wasn’t it the comment about the Gold Star family at the Democratic convention? The comments about Muslims? The comments about immigrants? Previous statements about women? I think Democrats are not going to let up on this, in part because if they can convince the dedicated core of Trump supporters that Ayotte has cast him aside or is selling out Donald Trump or putting her own survival ahead of Trump’s, if those folks stay home on election day, or if they turn out and skip voting for anybody at all for Senate or if they write in the name of a different candidate, I think that really hurts Ayotte. This has been a tight election. Every poll has this at a 1, 2, or 3 point race. Every last vote is going to make a difference. So what’s the impact of all this on their race? I think it makes Ayotte’s job a little harder. Before I think she was trying to take a position where she could retain the support of Republicans who like Trump, without alienating Republicans who are opposed to Trump – and New Hampshire has a lot of those folks – while winning some crossover votes from Democrats. And that’s why she keeps talking about how she’s an independent problem solver, works across the aisle, and challenged extremists who wanted to shut down the government. But now she’s lost one part of that coalition. I suspect a lot of the really dedicated Trump voters are going to see this as an action they can’t forgive, something they’re not willing to overlook. And if that’s the case, I think that makes her climb to winning a general election that much harder. 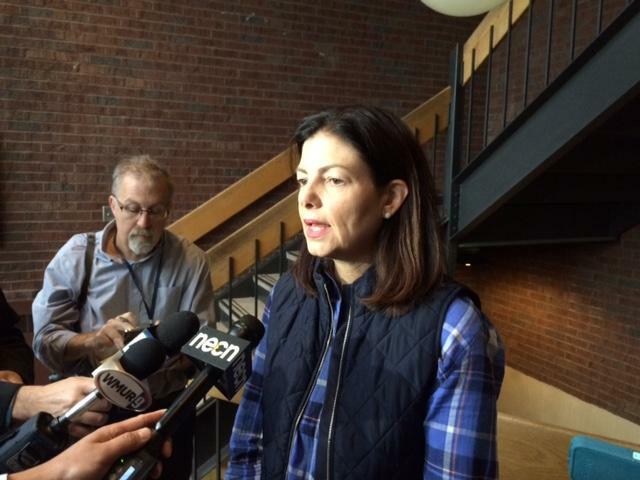 We’re a month away from the election, so what is Ayotte’s political strategy going forward? 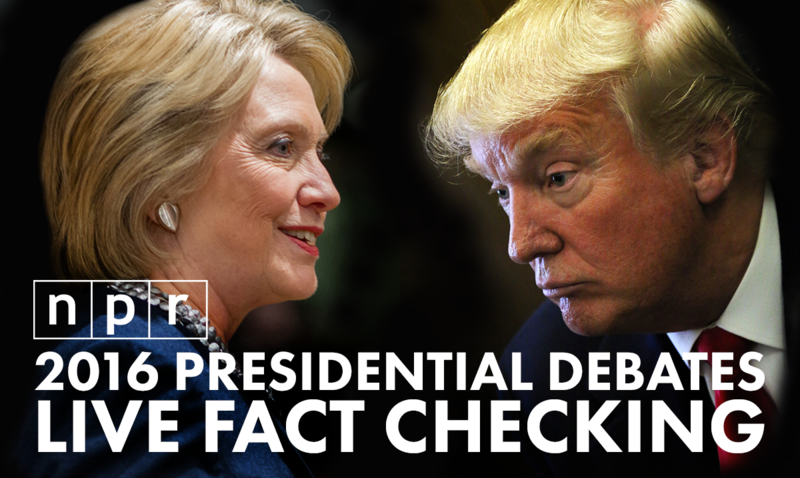 After last night’s debate, it doesn’t appear Trump is going anywhere. I think it’s going to be more difficult than I think folks thought it might have been on Friday when the tape broke, or on Saturday, when we saw this remarkable exodus of Republicans away from Trump. I think what Ayotte is going to do is double down on presenting herself as an independent-minded, pragmatic problem solver, downplay partisanship, downplay ideology, and hope that she can put together enough mainline Republicans who are turned off by Trump’s statements or were never enthusiastic about Trump in the first place and win crossover votes. I think we might also see her start explicitly talking about the idea of Hillary Clinton’s election being a foregone conclusion, so it’s that much more important that I win because I can serve as a check on her. We’ve already heard her say that she’ll stand up for New Hampshire in the Senate. I think we can expect to hear a lot more of that talk. And for Maggie Hassan, is there any political implication in making too much hay out of this? I don’t know. I think Democrats have been really revolted by a lot of the Trump campaign from day one, so I don’t that there necessarily is something as too far. Because it’s a close election, I think Hassan’s got to work on turning out her base of support, winning those Bernie Sanders supporters who voted for him in the primary when Hassan was backing Hillary Clinton. I think it would be a mistake to make this election entirely about Trump. You’re not seeing many Democrats to that exclusively. On the other hand, Trump isn’t going anywhere. He’s staying on the ballot. HHe’s clearly going all in with his campaign. He’s not planning to quietly run out the last few weeks of the election. There’s also the possibility that there will be more damaging revelations about Trump between now and election day. And while on the one hand, it might be a good thing for Ayotte to have cut ties with Trump when she did, if there are more tapes, if there are worse tapes that come out, that’s going to keep this in the news and becomes further fodder for attacks. The Democratic attack will be one that calls Ayotte’s judgment into questions and suggests this is more a positon based on political calculation than principle. Republican Senator Kelly Ayotte says 11-year old footage of Donald Trump talking crudely about groping women is “fundamentally different” than past statements by Trump, and that she'd support Trump dropping out of the race. Ayotte's latest stance comes two days after the Washington Post reported on a videotape where Trump talks of groping women. 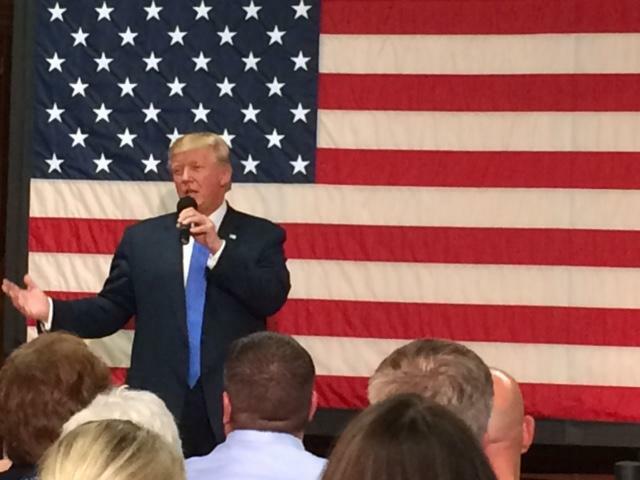 On Friday, Ayotte called Trump’s remarks "totally inappropriate and offensive." 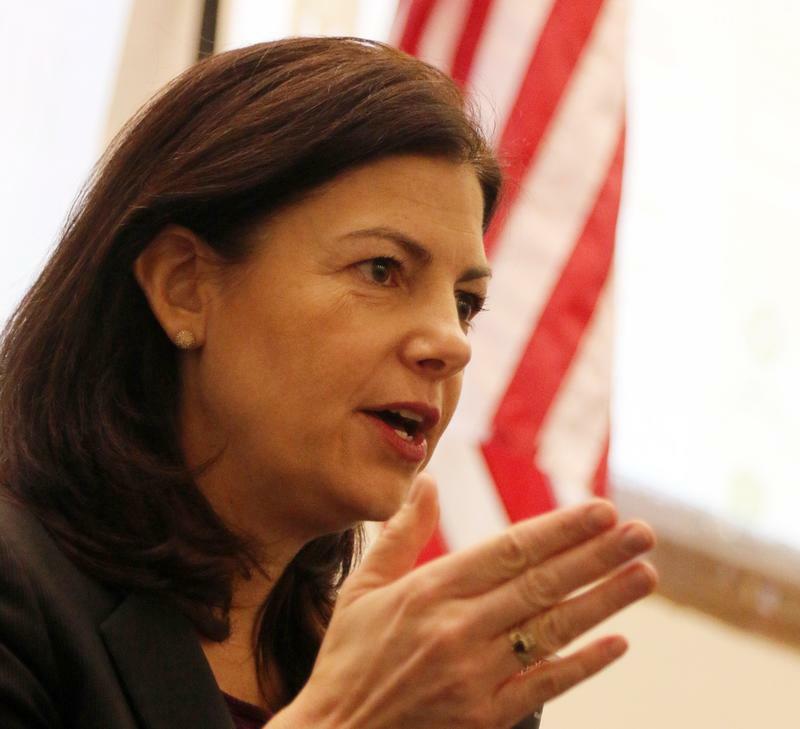 Senator Kelly Ayotte has withdrawn her support for Republican presidential nominee Donald Trump. The move comes after the Washington Post reported on an 11-year old video showed Trump talking crudely about groping women. Friday night, Ayotte called Trump's remarks in the video "totally inappropriate and offensive." New Hampshire Republican Senator Kelly Ayotte released a new ad Wednesday in which she continues to try and distance herself from comments she made Monday about Donald Trump being a role model for children. "Let's be honest: both Donald Trump and Hillary Clinton are far from perfect, and I'm not perfect, either," Ayotte says as she strolls along the campus of Saint Anselm College, speaking directly to the camera. She then goes on to tout her bipartisan credentials in the ad. New Hampshire Republican Senator Kelly Ayotte says that while Donald Trump isn't a role model for children, she trusts him on policy issues and appointing justices to the United States Supreme Court. 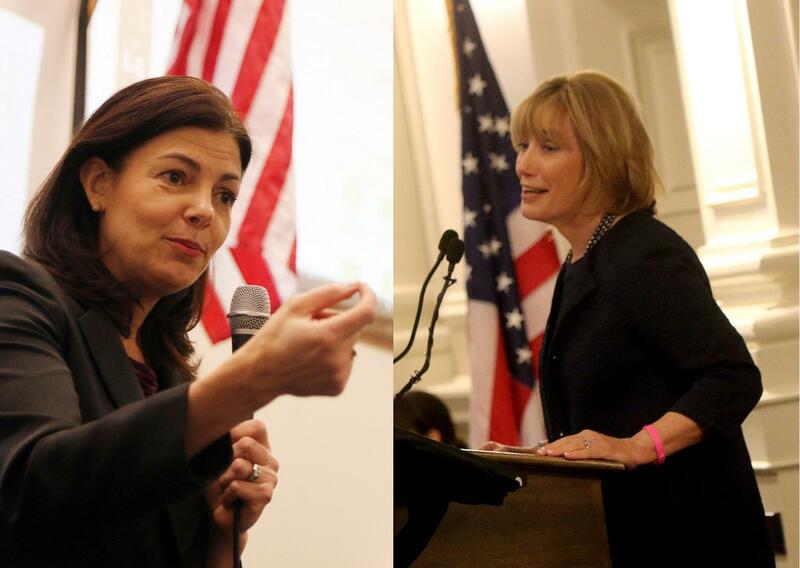 Kelly Ayotte and Maggie Hassan shared a stage last night at New England College. Broadcast on NECN, it was the first televised debate in their race for US Senate. And it showed that despite this race’s high-profile – it’s one of a handful that could decide control of the Senate -- it remains in the shadow of the battle for the White House.